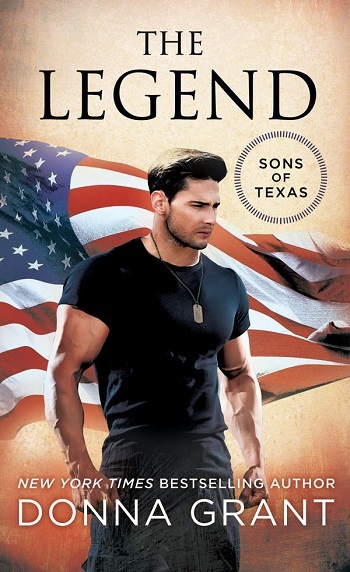 A Delta Force Colonel with a rock-hard body and stone-cold heart, Wyatt has been teasing and tormenting Callie since they were playmates on his family’s ranch. Of course, he’s wildly attracted to the fiery, strong-willed Callie. But he’s always hidden his feelings behind a wall of Texas tough and military cool, even as he’s burning up with desire. Can Wyatt save Callie’s life—without putting her love in the line of fire? This is the first story that I have read in this series and I would suggest reading the previous books first, as there were characters and relationships that seemed important. Despite the fact that I could guess what was happening, I still think it would have been beneficial. Wyatt is a hard man to know. He has a way about him that if he goes in without caring if he comes out, then he'll win. He is part of a delta force and seems like the kind of guy you'd want on your side when you're fighting for your life. He has a family that he left because the memories of his murdered mother were too much. He hates his father because his perception was that his dad, Orrin, was not doing enough to find their mother's murderer. The one person that it hurt him to leave was Callie. After she was taken in by his father, her family didn't want to let her leave. One night, Wyatt found her beaten, almost near death and carried her back to the ranch. After that, he became her protector – warning her family away from her for years. He knows that going back to the ranch will stir up issues he hasn't dealt with, but Callie and his family – the human race is in danger and he will do his best to make sure that everyone survives. Callie is whip smart, she is tech savvy, and great with a gun. She has also loved Wyatt since before she has known. She has tried to keep her family away from her – telling them she doesn't want to be part of their business, but they don't really want to hear that. With people coming after those she loves, she will need all of her willpower to fight and survive. Will Wyatt and Callie be able to fight their feelings and get the job done? Will they both be alive when the fight is over? The world is in danger of a bio-weapon that could devastate millions and Wyatt and his family are the only force to stand between them. This was a fast-paced story with a lot going on, but I can't wait to see what happens next. 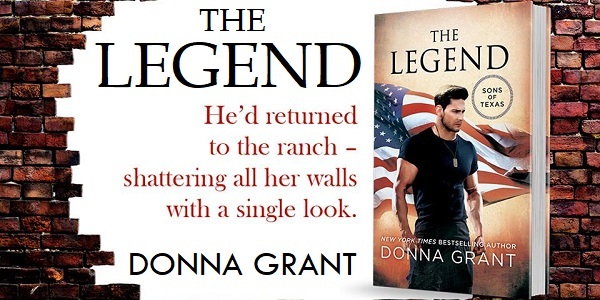 Reviewers on the Wicked Reads Review Team were provided a free copy of The Legend (Sons of Texas #3) by Donna Grant to read and review.